When an accident involves a death, there are several separate claims that can be made by appropriate parties and one of the claims is known as a wrongful death claim. The wrongful death lawyers of Foran and Foran, in Greenbelt, MD, specialize in this area of law. This claim is one that is provided by statute. Md. Code Ann., Cts. & Jud. Proc., Title 3, Subtitle 9 creates the right to recover for various classes of people in a death case. 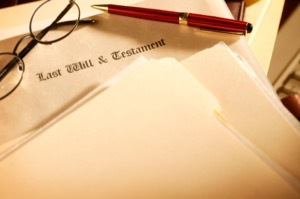 The primary right to recover belongs to a spouse, parent and child of the deceased. A secondary right to recover may apply to other blood relatives by marriage who may have been substantially dependent on the deceased for support. Under Maryland law, damages for the death of a person are not limited to just the pecuniary loss as is the case in some jurisdictions. Rather, a proper party may also be able to claim what is known as solatium damages. In determining the proper award of damages for a wrongful death claim in Maryland , the jury may consider both economic and non economic losses. The economic loss could include the financial support and the replacement costs of the services the deceased provided and the deceased's earning and future earning capacity for the joint life expectancy of the parties, to determine the amount the survivor would most likely receive. The non economic losses that a jury could award damages for would be the mental anguish, emotional pain and suffering, loss of companionship, comfort, protection, marital care, attention, advice or counsel the surviving spouse has experienced or probably would experience in the future. One of our Maryland wrongful death attorneys can explain all of the potential claims for death benefits in your case. District of Columbia Wrongful Death actions are brought by the Personal Representative of the estate. The true parties are the surviving spouse and next of kin. The claim is really for losses suffered by them as if they were named in the Complaint. Under the wrongful death action, the Plaintiff can collect as damages amounts for financial losses suffered by the spouse or next of kin, financial support the deceased furnished to each, amounts of the bills for the last illness and funeral bills, amounts the deceased would have paid for the support of a minor until they reached 18 years of age and the amount of support the deceased would have paid to support his/her parents. Other damages under the Wrongful Death actions would include the loss of care, training and guidance and parental advice that would have been provided to a minor until he/she reached 18 years of age. An experienced personal injury attorney will be able to advise you of the damages allowed in your particular case. One of our District of Columbia wrongful death attorneys can explain all of the potential claims for death benefits in your case. In addition to the wrongful death claim resulting from the death of a person involved in a Maryland accident, an accident attorney also may make what is called a survival action claim. This claim can be thought of as essentially the claim the deceased could have made if he was alive. This claim is brought by the estate of the deceased and involves both economic and non economic loses as well. The economic losses would include the medical bills incurred as a result of the injury, loss of earnings from the date of injury up to the date of death and funeral expenses up to the statutory limit which, at the time of this writing is $ 5,000. The non economic losses would include any conscious pain and suffering that the deceased had as a result of the injury, any pre-impact fright and punitive damages if applicable. Even though it is uncomfortable to talk about, it therefore becomes important to discuss whether the deceased was conscious between the time of injury and the time of death and whether there were any physical manifestations of pain and suffering so that maximum recovery can be obtained. One of our Maryland wrongful death lawyers can explain all of the potential claims for death benefits in your case. District of Columbia survival actions are brought by the legal representative of the estate. The claim is one for the benefit of the estate and essentially involves a legal claim for damages arising before the decedent's death. For example, the Plaintiff can recover damages for conscious pain and suffering, financial loss suffered as a result of the injury, medical and hospital expenses, bodily injuries including mental anguish, disabilities, disfigurement and discomfort until the time of death. Under D.C. law, the amount claimed can be the amount of money the decedent would have accumulated over his/her normal life expectancy. This differs from Maryland where damages are allowed only from the date of injury to the date of death. Moreover, there may be required reductions to this claim and the amounts will have to be reduced to present value. One of our District of Columbia wrongful death lawyers can explain all of the potential claims for death benefits in your case. With regard to economic damages for loss of wages for future support, it is required that the plaintiff perform what is called reducing the claim to present value. Therefore, this computation is not as simple as just multiplying the number of years in the deceased's life expectancy by the amount of salary. Rather, an economist must be retained to determine what amount of money awarded now, when prudently invested over the appropriate number of years, would equal the financial benefits lost as a result of the death. An experienced wrongful death attorney would have access to a good economist who could make these projections. The legal information on this site is not intended to be legal advice. Contact one of our experienced wrongful death attorneys or lawyers today to get specific information and answers for your specific situation.